Space Shuttle Floor Puzzle | Blast off with this galatic jigsaw! 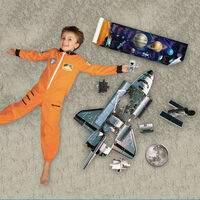 Blast off with this galatic jigsaw! Bring the magic of space into your own home! 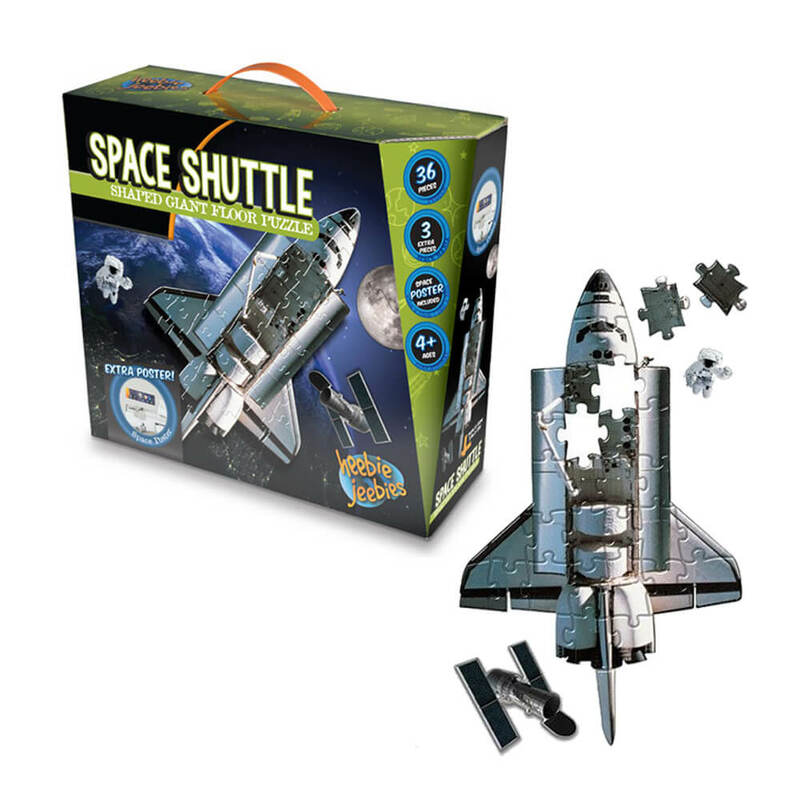 Take your child on a journey with this engaging Space Shuttle Floor Puzzle! With 36 extra thick jigsaw pieces, your puzzle is super easy for little fingers to assemble. 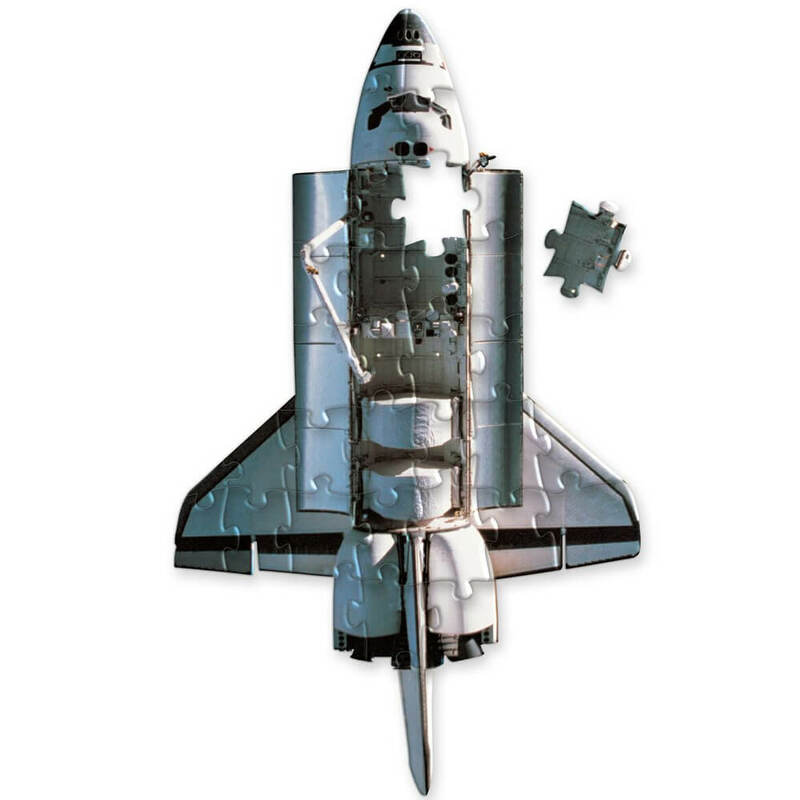 It even comes complete with bonus puzzle pieces to build a separate astronaut, moon and Hubble Space Telescope! Let your mind take flight with the bonus space poster featuring all the planets and more! It's great for developing fine motor skills and challenging young minds. Dimensions once assembled: 87cm x 57cm. Bonus poster measures: 87cm x 25cm.